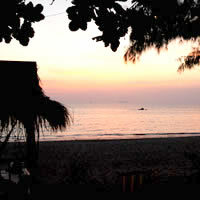 Pra Ae or Long Beach of Koh or Ko Lanta Island - Krabi Thailand. 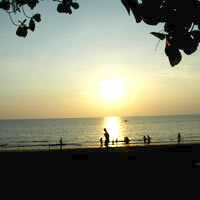 Pra-Ae or Long Beach - Ko Lanta (Island) - Krabi - Thailand. 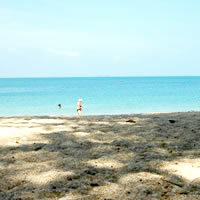 Phra Ae, the second beach on Ko Lanta Yai is just south of Klong Dao and well-known as Long Beach. It is a stunning crescent of sand some 4 kilometres long. 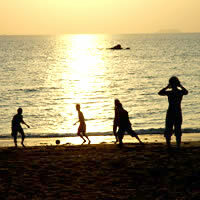 The beach is steeper and the water not as sheltered as at Klong Dao which makes for fantastic, safe swimming for adults. 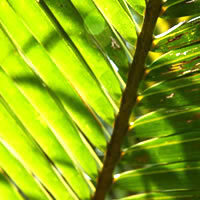 The shoreline is rich with tropical trees, including coconut and pine, providing ample leafy shade for relaxing under. 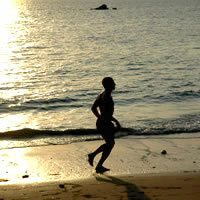 The beach is straight and long, with many locals using it for jogging during sunset hours. The resorts here are spread out over a greater distance, mainly clustered at both the north end and south ends. 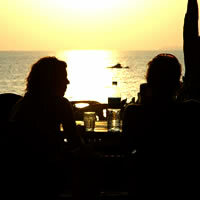 Most visitors find that even in peak season Long Beach can feel pretty deserted. 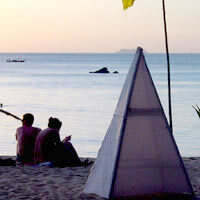 Accommodation here is generally cheaper than on Klong Dao, with a mixture of smaller and family-run resorts. 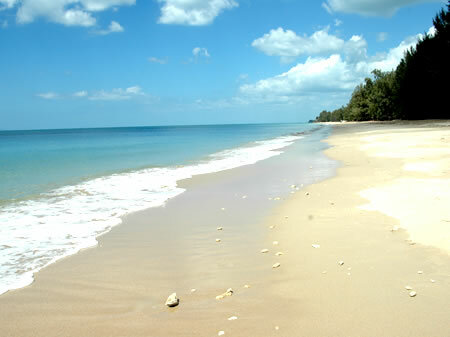 The southern end of Phra Ae has some snorkeling areas off shore and the entire beach contains a wealth of sea shells and natural aquatic life.